When green thumbs grow up: Environmentalism’s struggle against conservatism. Canadian folk-rocker Neil Young’s recent admonishment of the Fort McMurray tar sands as a “wasteland that looks like Hiroshima” should not come as a surprise to most observers. Young came of age in the 1960s when the environmental movement was in its infancy. He has been an outspoken advocate for a national program for agriculture, inaugurating the FarmAid benefit concert in 1985 along with Willie Nelson and John Mellencamp. He’s even managed to get a 1959 Lincoln Continental – an albatross of a car – to run emissions free on a mixture of ethanol and electricity. 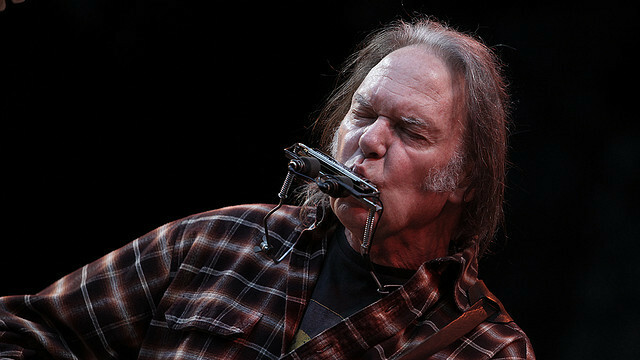 In short, Neil Young is more than an environmentalist – he’s a hippie. In 2013, being called a hippie or an environmentalist does not seem at all problematic. In many ways, the rise of consumer goods touted as green or eco-friendly has re-branded the image of hippie as being, well, hip. In the not so distant past, however, politicians in both Canada and the United States used the image of the hippie to marginalize the environmental movement. Under the Richard Nixon and Ronald Reagan presidencies, those concerned with the environment were disparaged as “greenies” or “tree-huggers.” Perhaps more damaging was that environmentalists were often thought to be left-leaning or even communist, a sure way to be marginalized in the Cold War atmosphere of the 1970s. By the 1980s, the ideological onslaught against environmentalism was in full swing. The Reagan administration severely cut federal funding to the Environmental Protection Agency by nearly 40 percent over a three-year span. To achieve his aggressive goals, Reagan appointed several former big-business heads and other ideologues to prominent positions within the EPA, the Secretary of the Interior, and the Judiciary Committee. Rather than look to the most recent developments in science in order to deal with pressing environmental problems, conservative governments in Canada and the United States used backward-looking policies based on the premise that a strong environment was only possible with a strong economy. Reagan’s own understanding of the environment illustrates how a lack of scientific innovation hurt policy development. As he touted national park expansion and new wildlife reserves, modern environmentalists were worried about rising levels of greenhouse gasses, global warming, and acid rain, all topics that mystified government leaders. So how did we get from the dark days of the 1980s to the success of the Prius in 2013? Quite simply, the “greenies” of Neil Young’s generation grew up. No longer student radicals, by the mid 1980s these environmentalists were doctors and lawyers, professors and architects. Their newfound respectability gave the environmental movement credibility, leadership, and serious lobbying power. Articulate and intelligent, leaders in the environmental movement were now able to frame their cause in reasoned, nuanced terms. Environmental disasters such as Three Mile Island and Love Canal attracted national attention to the dangers of unregulated industry. No longer were political leaders able to dismiss environmental concerns as not representing the public interest. As environmental concerns reached the cultural mainstream, ideological conservatives found themselves out of favour. The professionalization of environmentalism has meant that – at least in the United States – tension between government and activists has somewhat stabilized. Though conservative governments have recently held power in America, there has been no attempt to attack the environmental institutions designed to advocate on behalf of environmentalists. In Canada, however, ideological conservatives have found themselves standing toe-to-toe with environmentalists. The Harper government has plans to cut scientific research and rewrite history books to promote a more ideologically consistent version of Canadian events, ignoring pleas from the intellectual and environmental communities. Moreover, Harper has actually muzzled government scientists, restricting them from discussing their work with the public. Harper’s actions have not gone unnoticed in the international community, with editorials in the New York Times and the Guardian expressing shock and disappointment at these developments. Even worse, the global reputations of Canadian scientists are at stake. As for Neil Young and his comments on the tar sands? His music was banned from the airwaves on 97.9, a Fort McMurray-based radio station. So much for rockin’ in the free world, Neil. At least Canada’s scientists will feel your pain. Sea of glass: The story of the glass sponge reefs.